First things first…I picked a winner for the Albion Fit giveaway! Alex! 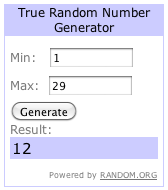 Congrats on winning the giveaway. Email me asap at 110pounds at gmail dot com. I need your mailing address and sizes. 🙂 Thanks to everyone for entering. This week I’m starting Week 5 of Suzanne’s program. That also means I’m almost to the 6 week rest period ending! Not sure yet how I feel about that. I think it deserves its own post. 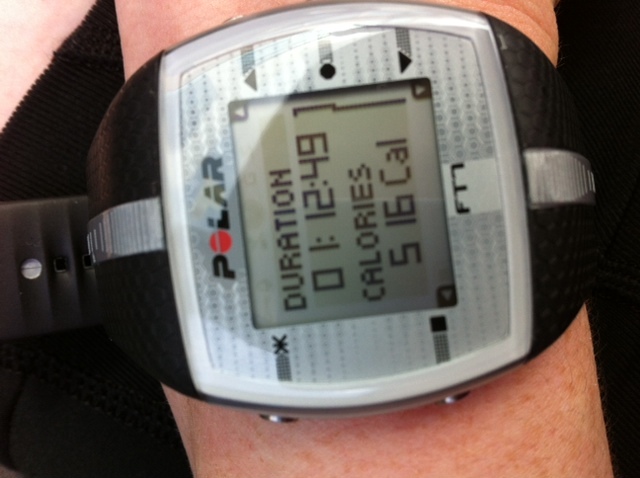 My workout on Saturday morning was really good. I judge a “good” workout by being satisfied with the number of calories I burned, feeling strong and like I pushed myself, and not feeling like I struggled or was in pain. I’m up to doing 50 pounds of the Romanian Deadlifts. I probably could have progressed a lot faster with this had I not been so timid about screwing up my knees or back. As a result, I took it very slow. But, I’m happy that I can do 50 now! For lunch Michael and I went downtown to the food carts. There’s a Korean food cart that he loves and he’s been trying to get me to try their tacos for awhile now. I am sad to say, it took me way too long to give it a try. These babies were fantastic! 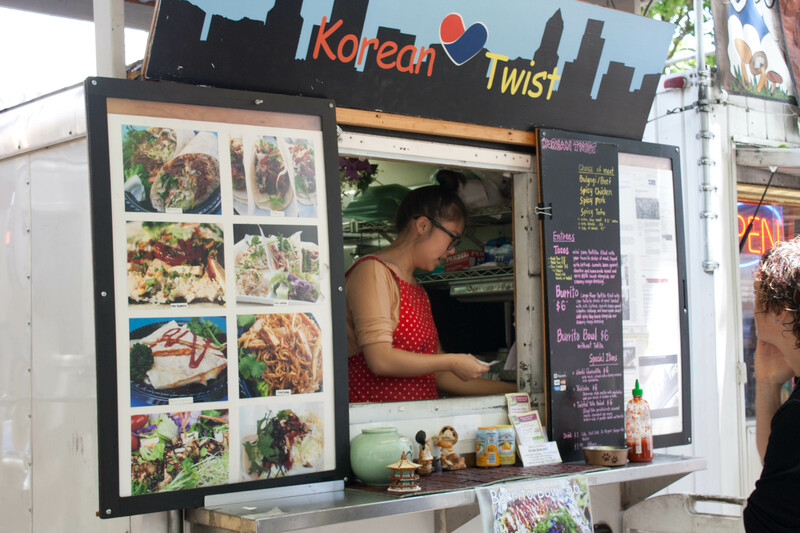 We went to Korean Twist on 10th and Alder. It was open on the weekend, which I was happy about because a lot of food carts are not. Michael and I both got 3 tacos–one beef, one chicken, one pork. 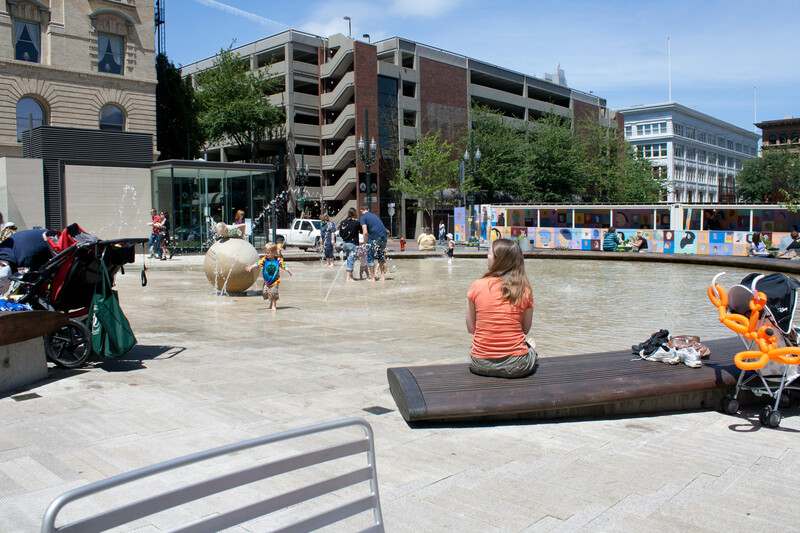 We walked up to the park near Nordstrom’s and found a table in the sun to eat our tacos. The tacos were small and the perfect size (even though I was left wishing I had three more when I was done). I have no idea what was in those tacos but I can see an addiction forming. 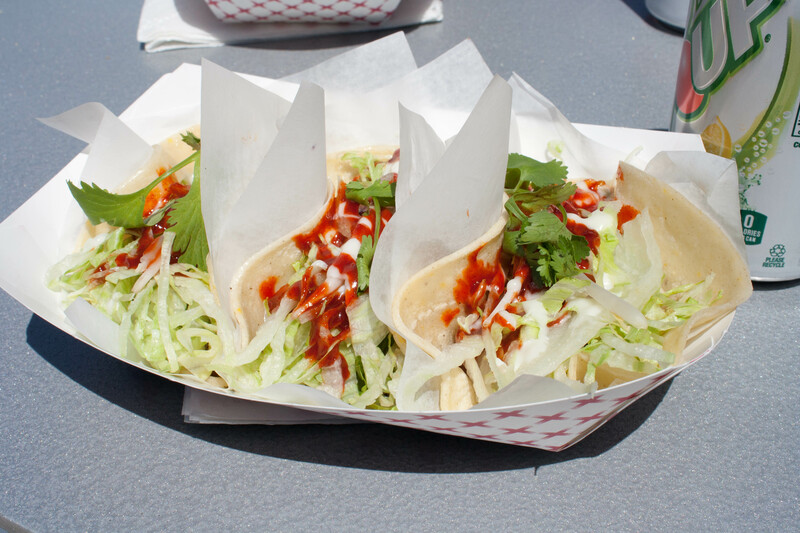 There was a spicy sauce and somehow the tacos were sweet, savory and spicy all at the same time. It’s rather odd to be eating a “sweet” taco but it was such a nice surprise. I think I could eat these every single day for lunch and not get sick of them. On Sunday I had a FANTASTIC swim! I was even able to do some breaststroke without any knee issues–for the first time in months. That was encouraging. The rest of the day was spent in the yard. I had so much gardening to take care. 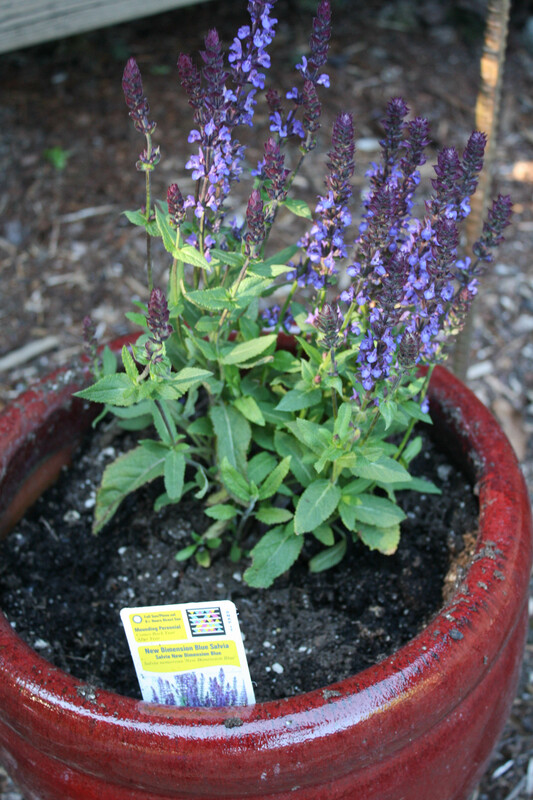 I pulled up the spinach that had gone bad, planted some perennials in pots (blue stevia and a daylily) and then pulled weeds. 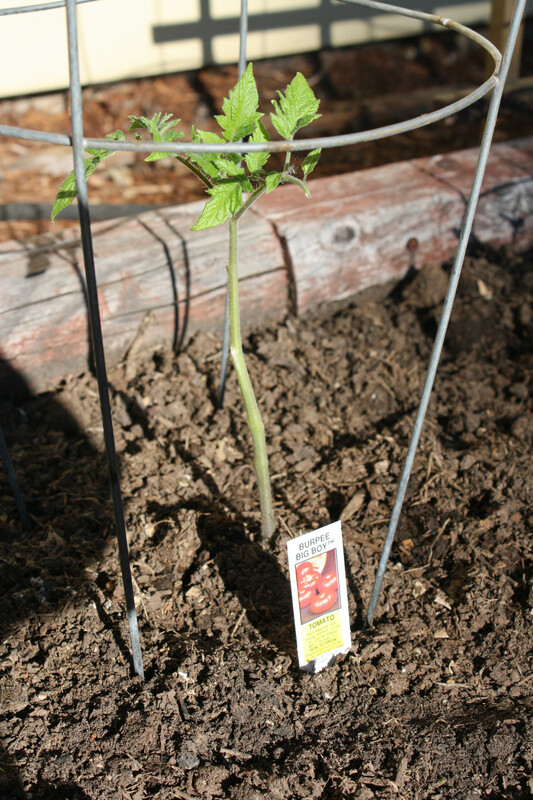 I filled a huge yard debris bin full of weeds and Michael planted our tomato plants. Then it was time for my book club meeting. I wanted to have some fresh, seasonal snacks to munch on so I made two things: a faux caprese salad and watermelon. 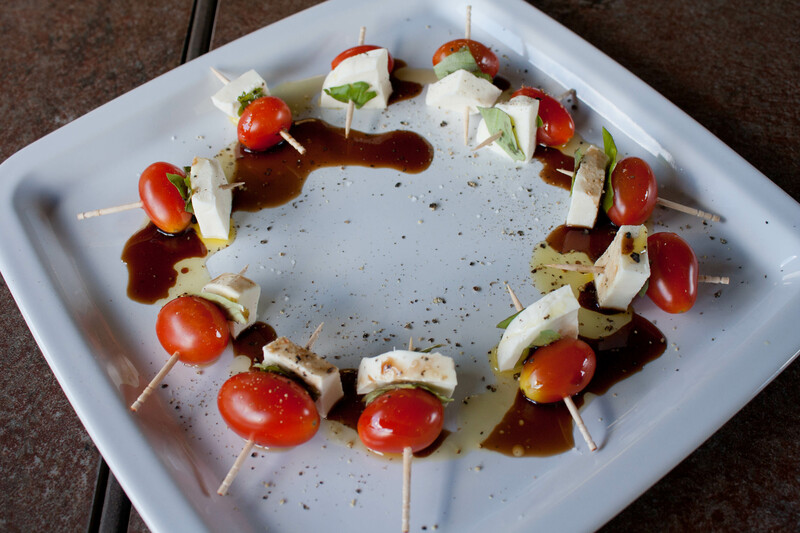 For the caprese salad, I put grape tomatoes on a toothpick, added fresh basil from my garden and mozzarella. Then I drizzled olive oil and balsamic on it with a little salt and pepper. It was the perfect little snack and tasted so good! 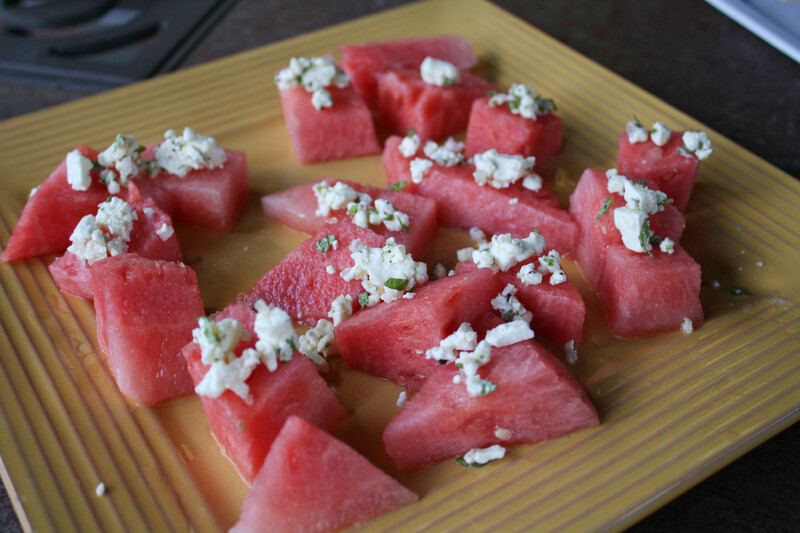 For the watermelon, I cubed them and then topped them with a mixture of minced shallots, minced fresh mint and feta cheese. I added a little pepper to the mixture and then put it on the watermelon. You wouldn’t think to put shallots, mint, feta and watermelon together but it was REALLY good! In fact, my friend Debby who said she did not like “strange” foods, said it was quite pleasant and unexpected. My friend Star brought strawberries and Ghirardelli chocolate. Debby brought white chocolate covered popcorn. 😀 It was a very nice book club meeting! We sat outside on the deck in the shade with a slight breeze rustling the trees in the yard and the sun filling the garden. It was the perfect spring afternoon that was starting to feel like summer! The book we read this month was called “Blindness.” It was a book about a “white blindness” that spreads through the city like a plague making everyone blind. It was a story that talked about the good and terrible things humans do to each other in times of crisis. There were definitely some parallels to Lord of the Flies, and maybe even the Holocaust. It wasn’t entirely negative and depressing, though. We all really enjoyed the book and the message the author was trying to get across. And apparently there is a movie based on the book too! I need to see that now. It was one of those kinds of weekends where you are running, running, running and never actually sit down to relax, but it was worth it. Lots of fun things with friends, a birthday dinner with family and some good conversations about books. Every weekend should be this fun! QUESTION: Any book recommendations for a book club meeting? Watermelon mint and feta salad is the BEST!!! Have a great day Lisa. Roz@weightingfor50 recently posted..Happy “Almost” Birthday Helen! It was really good! I was surprised at how well all the flavors went together. Congrats to Alex – lucky!! I found that a ton of the food trucks I wanted to go to in Austin don’t even OPEN until 11:00 at night for the bar crowd! 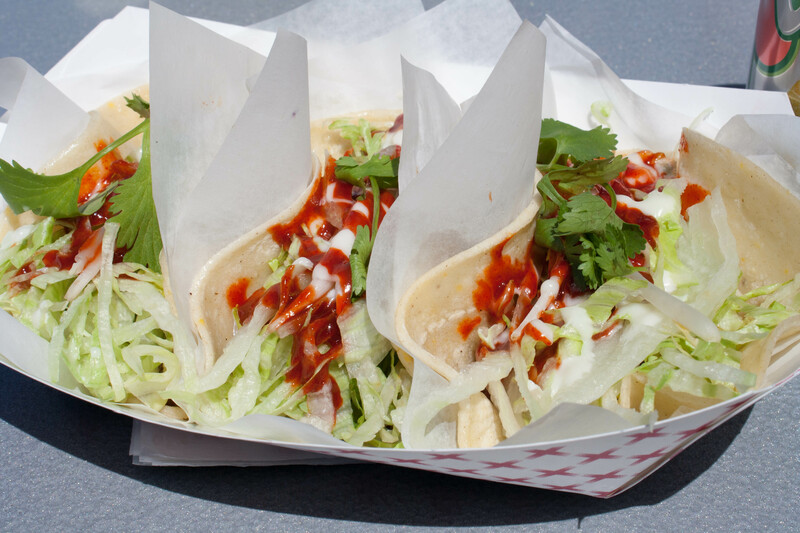 If I had that Korean taco food truck anywhere near me, pretty sure I could too eat it every single day. There are definitely a lot of food trucks like that. It’s kind of a culture, I guess! Kogi in LA apparently has lines that are hours long! I bet you could create some kind of fusion at home! Sometimes I want to live in a city with food carts, but then I think I would get in so much trouble LOL! I recommend “The Painting” as a good book club read. It’s fast. I just started The Hangman’s Daughter (half way done now). I think you have read that one? Or The Supremes at Earl’s All You Can Eat. Another very good book. I did read the Hangman’s Daughter and enjoyed. Thanks for reminding me because I think it was a series. I need to get the 2nd book. I’ll check out The Painting.